"Maybe in our world there lives a happy little tree." If you know exactly what this means, then you need to head out to FYE (For Your Entertainment) or online to snag a box of their exclusive "Bob Ross The Joy of Cereal." If you're actually asking this question, I commend you for wanting to better yourself and will give you a free pass for perhaps being too young to know. 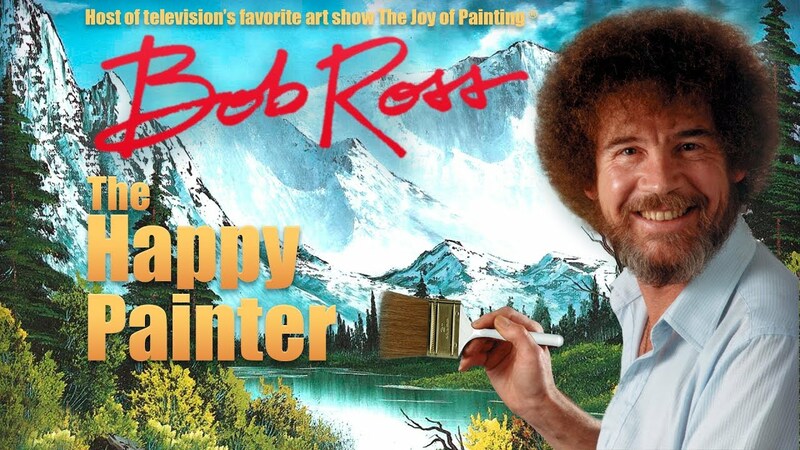 Bob Ross was an American artist known for his how-to shows on creating soothing, nondescript landscapes. He made anyone watching him feel like they could conquer the world with a paintbrush and a bit of hand-eye coordination. Best known for his soothing monotone voice and his zen outlook on life, Bob Ross was the life coach you never knew you needed. What's in Bob Ross The Joy of Cereal? The nutritional panel reads like any other sugary cereal. It looks like the puff component is made of oatmeal flour whereas the various marshmallows are all full of sugar and lovely preservatives to keep them fluffy and cute. Yum! On the good side, it's not too high in calories, at 150 calories per dry cup. 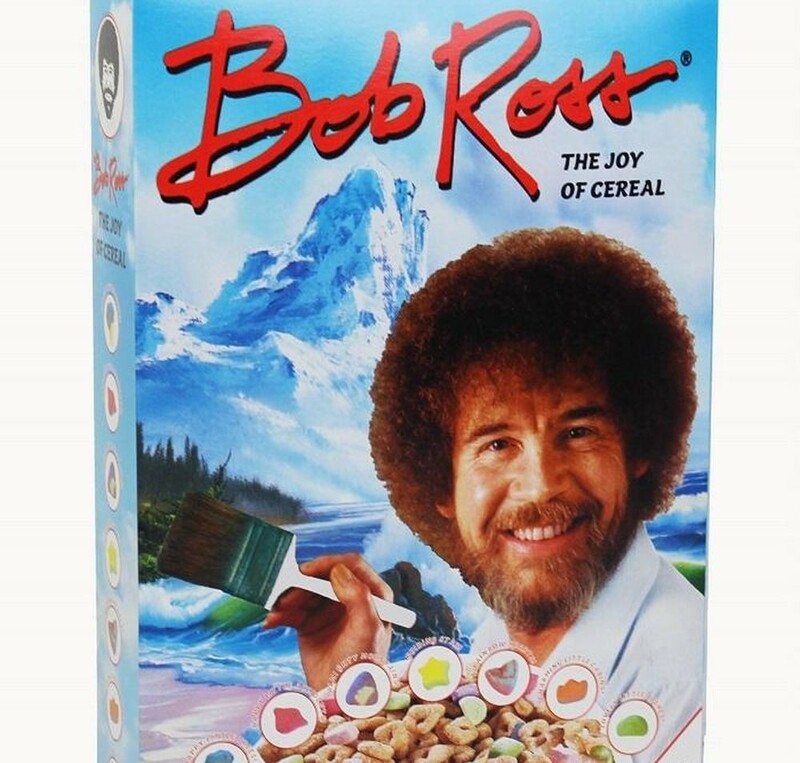 Where can you find Bob Ross The Joy of Cereal? This fantastic product is only available at FYE. Your local mall may have an FYE store -- check here to find the location nearest you. You can also order the cereal online at FYE's website. One 11.5 oz. box will cost you $9.99, a small price to pay for a blissed-out breakfast! **All photos in this article are courtesy of FYE unless credited otherwise. 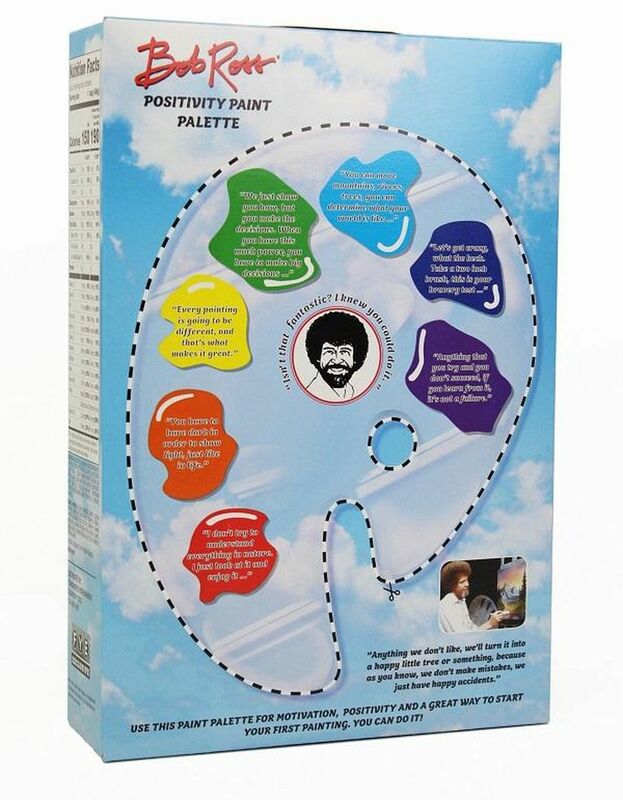 Have you tried Bob Ross The Joy of Cereal? Did it make you feel like you could paint the world red? Let us know in the comments below!